The only two people I know, from around here, who attended this school are Margaret Dearness and Kenny Pirie. I think i am correct in saying that Fraser Byers who lives just down the road from here went there too. I understand that Joyce Moore was a teacher there Brian. I remember our teacher Mrs Hall (Bobby Halls mother) arriving with a new car a blue Triumph 1300 which of course was out of bounds! sad day. why are they demolishing my favourite school? I started school there. Mrs Hall was my first teacher and I will always have good memories of her. My mother Dorothy Bews and her 8 siblings went to Scapa school.Their parents were Peter and Christina Bews. 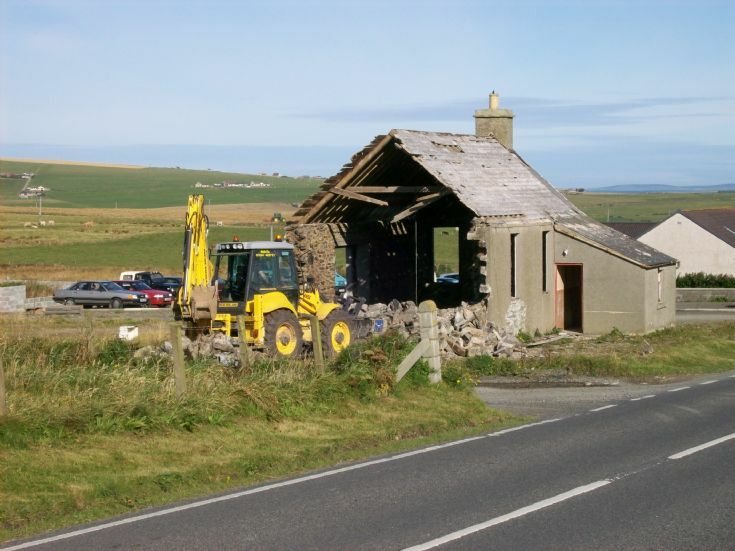 Scapa school got knocked in 2012,a new modern house built there then too.